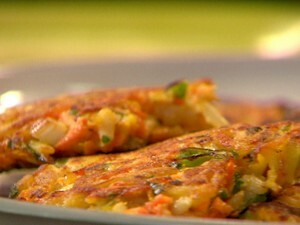 Vegetable Patties recipe by AmbUs at PakiRecipes.com. A great nutritious vegetable snack. It goes well with Tomato Ketchup. i want to suggest a variation in the above recipe just make tow small patties of the above mentioned ingredients and add mayonnaise on one patties and cover with other and close it at the edges and then dip that in egg and breadcrumb and fry that tastes really good.